After an awesome day in Stockholm Central Station it was great to see all the support on IG from the far away friends around the globe trying to get a vote in on Facebook and the innocent by-passers who clearly were attracted by the The Awesome After Party build which took us into the 10 finalists. At the end of the first day we are proud to say we are running strong in the top three and with all the engagement and emotion we saw in the central hall today with innocent by-passers young and old we do hope (fingers crossed) we can continue this position during the rest of the week when we travel to Copenhagen and Oslo. 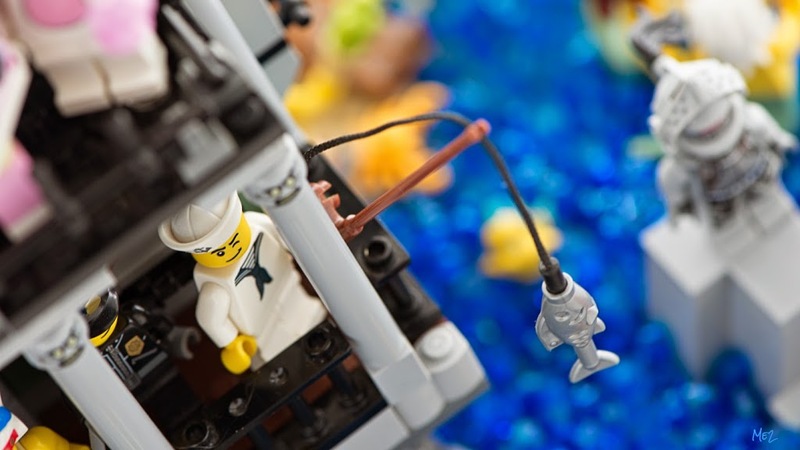 Indeed, the exposition and supporting challenge for master builder of Scandinavia continues and we do need your continues awesome support to take us to the next stage. Tomorrow is a travel day where all builds are transported to Copenhagen, Denmark and will be shown on Thursday, 26 June in Fisketorvet. We will not be able to travel along and it would be great if some of you could sent us some pictures of the exposition (and post on Instagram with the hashtag #TLMscandinavia5 as every picture of our build in Stockholm, Copenhagen and Oslo counts as a vote). After the Copenhagen visit, the journey continues to Oslo where all the finalists will be shown in the central station of Oslo on Saterday 28th June and the voting endsend of June. The challenge has only started and continues to need your support ! So, here is how you can help. 2. Depending on the randomness of the app, you may be asked to first like Warner Bros Scandinavia Page. This is OK, just like the page (they sponsored The Movie after all) and then continue to like our submission on position 5. 3. Like #TLMscandinavia5 so it looks like the below and the little Like link is checked. 4. Click on “Dela” which let you post a personalized link on your FB page where your friends and family can do the same. Everyone spreading the word enters automatically in a draw for a special signed version (thanks to everyone who already did it). 5. Make sure your kids, other halves, mothers, fathers and grandparents do the same so you effectively double your chances of winning an exclusive signed Me2 print of the Awesome After Party. 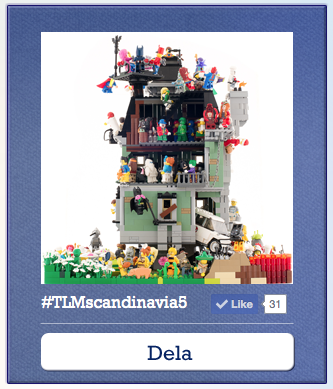 Here the rules are simple, just head over to Copenhagen and Oslo, enjoy the builds and post a picture of your favorite build and hashtag it with #TLMscandinavia5 and since you did not travel alone, make sure friends, family and pets do the same on their respective IG accounts as every vote counts. If you havent posted your pictures of Stockholm Central Station, please make sure you do it before the end of this month and give them the right #tag. Thanks again and we keep you posted on the great adventures ahead of us ! Congratulations! Do we get to vote again now that you’re in the top 3? I’m happy to vote early and often. Previous PostPrevious Who you gonna call ? Next PostNext Sometimes doing nothing is better than doing something.